We are a community that believe the sharing of Divine love in the spirit of peace, service and humility is our highest purpose. We are dedicating our time to teach heart centered meditation and keep the Retreat Center available for guests from around the world. Bruce has been guiding retreats worldwide since 1983 and leads the daily sitting meditations. He is the author of the best seller, The Magical Child Within You. His teachings are based in his deep connection to silence, simplicity and heartfulness. He has a gift for guiding people from the busy-ness of the mind into the wisdom of the quiet heart. He is a teacher of world religions and combines psychology and spirituality to create a rich understanding of human potential. Ruth has been practicing meditation since 1968 when she went to India to embrace a devotional path of meditation and Indian philosophy. She has the gift to guide people into their spiritual heart that deepens meditation practice and connection to present moment awareness. Ruth developed a method of awareness training called Infinite Heart Awareness™ a one on one session where each person can have a direct experience of their true nature. This is included as part of the retreat. She is an energy healer with background in Chi Gung, Polarity therapy, movement therapy and emboding the Divine Feminine. A devotional dancer from childhood, Ruth created a meditative movement practice connecting to the MahaVidyas, the Wisdom Mothers of India. 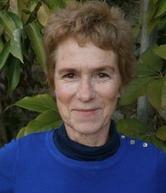 Brenda has been lovingly guiding contemplative retreats for over 40 years and has devoted much of her life to spiritual inquiry. After practicing Transcendental Meditation in the 1970’s, she studied Vedanta philosophy and yoga with an Indian monk from Gujarat. She began teaching Hatha Yoga in his school in Chicago shortly thereafter. In 1976, she met her teacher, Swami Muktananda, with whom she traveled widely for many years. She became a monk under his auspices, and he instructed her to continue teaching in Europe, India, and the United States. She was the swami in residence at his ashram in Paris. ​She joined the Silent Stay community of retreat leaders in 2016, teaching in California and Assisi, Italy. Brenda helps people discover their own pathway to inner peace, and to understand that all of life’s circumstances are a guide to finding the stillness within. 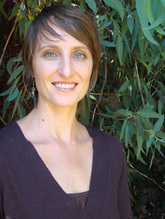 Nicole has been studying classical Raja and Hatha Yoga and holistic healing for 23 years including herbal medicine. Nicole assists people of all ages, experience, and fitness levels - brand new beginners, injured and adepts alike - to get curious, stay compassionate, and discover the appropriate practices to balance their particular constitution and lifestyle. David attended Columbia University, Jesuit College and has traveled the world. He has explored many cultures and traditions including living in Hindu Ashram, Buddhist Monastery, Muslim community in India, France, Japan and Lebanon. Through the years he discovered the universal truths embracing all religions. In 1995 David was one of the founders of the God Realization Ministry at the Unity Church of Tustin in California. David has since brought his ministry to over 200 New Thought churches around the world. David has a unique gift of seeing love in everyone and welcoming people of all traditions. 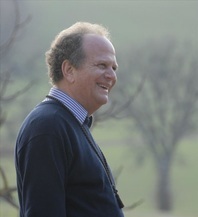 He is currently the retreat director of www.AssisiRetreats.org. We are honored to share the peace with our beautiful community of teachers. Their extensive commitment to spiritual practice, community life, and a heart full journey is a gift to everyone.